Please contact Nicole Junkin at victoriousgrace1118@gmail.com to RSVP. Sign up, payment, and cancellation deadline is May 16. Pricing include a cup of food to feed the goats at the end. 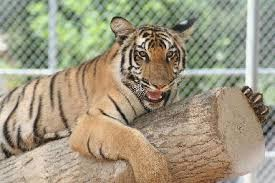 Tigers for Tomorrow at Untamed Mountain is an exotic animal park and rescue Preserve, home to over 80 large predators, including tigers, leopards, cougars, wolves, bears and more. An animal contact barnyard full of farm animals and now students can visit The Legacy Living Classroom and Untamed Gift Store. Please wear closed-toed shoes Please note that strollers are hard to navigate. Don't forget your lunch!!! We can use the pavilion for lunch afterwards.